Freshwater management challenges are increasingly common. Allocation of limited water resources between agricultural, municipal and environmental uses now requires the full integration of supply, demand, water quality and ecological considerations. Water is the scarcest resource. The importance of the resource for the survival of the modern society – sustaining agricultural and industrial growth, and the retardation of environmental degradation needs no elaboration. Sustainable development and management of the resource require scientific and systematic approaches. Ali, M. H. &Adham, A. K. M. (2007). Impact of climate change on crop water demand and its implication on water resources planning.J. Agrometeorol., 9(1), 20-25. Ali, M. H., Abustan, I., Rahman, M. A. & Haque, A. A. M. (2011). Sustainability of Groundwater Resources in the North-Eastern Region of Bangladesh. Water Resour. Manage.,26, 623–641. Kendy, E., Molden, D. J., Steenhuis, T. S. & Liu, C. (2003). Policies drain the North China Plain: Agricultural policy and groundwater depletion in Luancheng County, 1949–2000. Int Water Manage Inst Res Rep, 71. Konikow, L. F. &Kendy, E. (2005). Groundwater depletion: A global problem. Hydrogeol J., 13, 317–320. Molle, F. (2003). Development trajectories of river basins: a conceptual framework. Int Water Manage Inst Res Rep, 72. Yang, H. &Zehnder, A. (2001). China’s regional water scarcity and implications for grain supply and trade. Environ Plan, 33, 79–95. Ali, M. H. (2010a). Weather – a driving force in determining irrigation demand. In: Fundamentals of Irrigation and On-farm Water Management, Vol. 1., Springer, NY. pp. 31-105. Ali, M. H. (2010b). Field water balance. 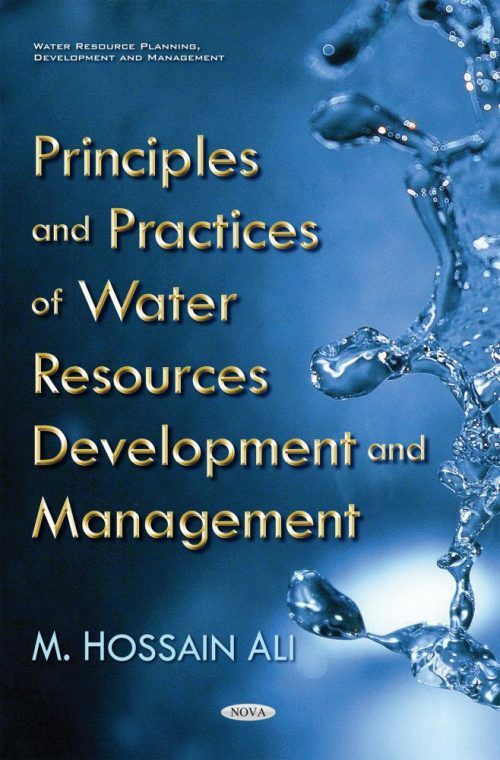 In: Fundamentals of Irrigation and On-farm Water Management, Vol. 1., Springer, NY. pp. 331-372. Allison, G. B., Gee, G. W. & Tyler, S. W. (1994). Vadose zone techniques for estimating groundwater recharge in arid and semiarid regions. Soil Science Society of America Journal,58, 6–14. Allison, G. B. & Hughes, M. W. (1983). The use of natural tracers as indicators of soil-water movement in a temperate semi-arid region. J. Hydrol., 60, 157–173. Anderson, T. W., Freethey, G. W. & Tucci, P. (1992). Geohydrology and water resources of alluvial basins in South-Central Arizona and parts of adjacent States. U.S. Geological Survey, Professional Paper, 1406-B, pp. 77. Aranyossy, J. F. & Gaye, C. B. (1992). La recherche du pic de tritium thermonucleaire en zone non saturee profonde sous climate semi-aride pour la mesure de la recharge des nappes: premiere application au Sahel. C R Acad Sci Paris, 315(Ser 2), 637–643. Arnold, J. G., Allen, P. M., Muttiah, R. & Bernhardt, G. (1995). Automated base flow separation and recession analysis techniques. Ground Water, 33, 1010–1018. Arnold, J. G., Muttiah, R. S., Srinivasan, R. & Allen, P. M. (2000). Regional estimation of base flow and groundwater recharge in the Upper Mississippi River Basin. J Hydrol, 227, 21–40. Bajjali, W., Clark, I. & Fritz, P. (1997). The artesian thermal groundwaters of northern Jordan: insights into their recharge history and age. J Hydrol, 192, 355–382. Bauer, H. H. & Mastin, M. C. (1997). Recharge from precipitation in three small glacial till mantled catchments in the Puget Sound Lowland, Washington. US Geol Surv Water Resour Invest Rep, 96–4219, 119. Belan, R. A. & Matlock, W. G. (1973). Groundwater recharge from a portion of the Santa Catalina Mountains. In: Proc Meeting Hydrology and Water Resources in Arizona and the Southwest, Arizona Section, American Water Resources Association, and the Hydrology Section, Arizona Academy of Science, Tucson, Arizona, Rep, 3, pp. 33–40. Chaturvedi, R. S. (1973). “A Note on the Investigation of Ground Water Resources in Western Districts of Uttar Pradesh.” Annual Report, U. P. Irrigation Research Institute, 1973, pp. 86-122. Christophersen, N. & Hooper, R. P. (1992). Multivariate analysis of stream water chemical data: the use of principal components analysis for the end-member mixing problem. Water Resour Res, 28, 99–107. Cook, P. G. & Bohlke, J. K. (2000). Determining timescales for groundwater flow and solute transport. In: Cook PG, Herczeg AL (eds) Environmental tracers in subsurface hydrology. Kluwer, Dordrecht, pp. 1–30. Cook, P. G. & Solomon, D. K. (1997). Recent advances in dating young groundwater: chlorofluorocarbons, 3H/3He and 85Kr. J Hydrol, 191, 245–265. Dincer, T., Al-Mugrin, A. & Zimmermann, U. (1974). Study of the infiltration and recharge through the sand dunes in arid zones with special reference to stable isotopes and thermonuclear tritium. J Hydrol, 23, 79–109. Fayer, M. J. (2000). UNSAT-H Version 3.0: unsaturated soil water and heat flow model, theory, user manual, and examples. Rep 13249. Battelle Pacific Northwest Laboratory, Hanford, Washington DOI 10.1007/s10040-001-0176-2. Flint, A. L., Flint, L. E., Kwicklis, E. M., Fabryka-Martin, J. T. & Bodvarsson, G. S. (2002). Estimating recharge at Yucca Mountain, Nevada, USA: comparison of methods. Hydrogeol J (in press). DOI 10.1007/s10040-001-0169-1. Hooper, R. P., Christophersen, N. & Peters, N. E. (1990). Modeling of streamwater chemistry as a mixture of soilwater endmembers – an application to the Panola Mountain catchment, Georgia, USA. J Hydrol, 116, 321–343. Hsieh, P. A., Wingle, W. & Healy, R. W. (2000). VS2DI – a graphical software package for simulating fluid flow and solute or energy transport in variably saturated porous media. US Geol Surv Water-Resour Invest Rep, 99–4130, 16. Kumar, C. P. & Seethapathi, P. V. (1987-88). “Effect of Additional Surface Irrigation Supply on Ground Water Regime in Upper Ganga Canal Command Area, Part I - Ground Water Balance.” National Institute of Hydrology, Case Study Report No. CS-10 (Secret/Restricted), 1987-88. Kumar, C. P. & Seethapathi, P. V. Assessment of natural ground water recharge in upper Ganga canal command area. Nathan, R. J. & McMahon, T. A. (1990). Evaluation of automated techniques for base flow and recession analyses. Water Resour Res, 26, 1465–1473. Rorabough, M. I. (1964). Estimating changes in bank storage and groundwater contribution to streamflow. Int Assoc Sci Hydro Publ, 63, 432–441. Ross, P. J. (1990). SWIM – a simulation model for soil water infiltration and movement. Publ 37. CSIRO, Glen Osmond, South Australia. Sami, K. & Hughes, D. A. (1996). A comparison of recharge estimates to a fractured sedimentary aquifer in South Africa from a chloride mass balance and an integrated surface–subsurface model. J Hydrol, 179, 111–136. Simmons, C. S. & Meyer, P. D. (2000). A simplified model for the transient water budget of a shallow unsaturated zone. Water Resour Res, 36, 2835–2844. Simunek, J., Sejna, M. & van Genuchten, M. T. (1996). Hydrus-2D: simulating water flow and solute transport in two-dimensional variably saturated media. International Groundwater Modeling Center, Colorado School of Mines, Golden, Colorado. Smith, M., Allen, R., Monteith, J. L., Perrier¸ A., Pereira, L. S. & Segeren, A. (1992). Report on the ‘Expert Consultation on Revision of FAO Methodologies for Crop Water Requirements.’ Food and Agriculture Organization of the United Nations (Land and Water Development Division), Rome, 60 pp. Sophocleous, M. & Perkins, S. P. (2000). Methodology and application of combined watershed and ground-water models in Kansas. J Hydrol., 236, 185–201. Sophocleous, M. A. (1991). “Combining the soil water balance and water-level fluctuation methods to estimate natural ground water recharge - practical aspects.” Journal of hydrology, Vol. 124, pp. 229-241. Theis, C. V. (1937). Amount of groundwater recharge in the Southern High Plains. In: Proc American Geophysical Union Trans 18th Annu Meeting, pp. 564–568. USDA-SCS, (1985). National Engineering handbook, Section 4 – hydrology. Washington, D.C., USDA-SCS. USDA-SCS, (1993). National Engineering Handbook Series, Part 630, Chapter 4, Storm Rainfall Depth. Washington, D.C., USDA-SCS. Cooper, H. H. Jr. & Jacob, C. E. (1946). A generalized graphical method for evaluating formation constants and summarizing well-field history, Trans. American Geophysical Union,27(4), 526-534. Dupuit, J. (1863). Etudes th_oriquesetpratiquessur le movement des eauxdans les canauxd_couverts et _ travers les terrains perm_ables [Theoretical and practical studies on the movement of water in open channels and through permeable rocks]. Editions Dunod Paris. Theis, C. V. (1935). The relationship between the lowering of the piezometric surface and the rate and duration of discharge of a well using groundwater storage. Transactions of the American Geophysical Union,v. 16, pp. 519-524. Thiem, G. (1906). HydrologischeMethoden. Gebhardt (Leipzig). Ali, M. H. & Adham, A. K. M. (2007). Impact of climate change on crop water demand and its implication on water resources planning – Bangladesh perspectives. J. of Agrometeorology, 9(1), 20 – 25. ASCE Task Committee for Sustainable Criteria, (1998). Sustainable criteria for water resource systems. ASCE Division of Water Resources Planning and Management, ASCE Press, Reston, VA, 253pp. Griffin, R. W. (1997). Management. 5th Ed., India, A.I.T.B.S.P and D.
Salman, S. M. A. (2007). The Helsinki rules, the UN watercourses convention and the Berlin rules: Perspectives on international water law. International Journal of Water Resources Development, 23, 625–640. Sauer, T. J., Hatfield, J. L. & Prueger, J. H. (1996). Corn residue age and placement effects on evaporation and thermal regime. Soil Sci. Soc. Am. J., 60, 1558-1564. Sivakumar, B. (2013). Planning and management of shared waters: hydropolitics and hydropsychology – two sides of the same coin, International Journal of Water Resources Development, DOI: 10.1080/07900627.2013.841072. UNESCO (United Nations Educational, Scientific, and Cultural Organization), (2009). Atlas of transboundary aquifers: Global maps, regional cooperation, and local inventories. Paris: International Hydrological Programme. Waggoner, P. E. (1990). Climate Change and U.S. Water resources. John Wiley, New York. WCED (World Common on Environment and Development) (1987). Our Common Future. The United Nations, New York. Cummings, D. E., Caccavo, Jr. F., Fendorf, S. & Rosensweig, R. F. (1999). Arsenic mobilization by the dissimilatoryFe(III)-reducing bacterium Shewanella algaBrY. Environ. Sci. Technol.,33, pp. 723–729. Roller, J., Schreiber, M., Widdowson, M. & Johnson, J. (2003). Arsenic release due to dissimilatory reduction of iron oxides in petroleum contaminated aquifers. Proc. Of the ‘Virginia Water Research Symposium 2003’ Water resources management for the Commonwealth, Oct. 7-10, 2003, p. 129-132. Stollenwerk, K. (2003). Geochemical Processes Controlling Transport of Arsenic in Groundwater: A Review of Adsorption. Arsenic in Ground Water, 2003, 67-100, DOI: 10.1007/0-306-47956-7_3. Anthony, W. E., Boschuk, J. & Koerner, R. M.(1991). Prefabricated bentonite clay liners. Geotextiles and Geomembranes, 10(5-6), 575-599. Chave, P., Howard, G., Schijiven, J., Appleyard, S., Fladerer, F. & Schimon, W. (2006). Groundwater protection zones. IWA Publishing, London, UK. Forster, C. F., Fernandez, N. & Chacin, E. (2000). The use of ultrasound to enhance the thermophilic digestion of waste activated sludge. Environ. Technol.,21, 357–362. Blom, G. (1958). Statistical Estimates and Transformed Beta Variables: John Wiley, New York, 68-75, 143-146. Chambers, J. M., Cleveland, W. S., Kleiner, B. & Tukey, P. A. (1983). Graphical Methods for Data Analysis: PWS-Kent Publishing Co., Boston, 395 p.
Cunnane, C. (1978). Unbiased plotting positions - a review: J. of Hydrology, 37, 205-222. Gringorten, I. I. (1963). A plotting rule for extreme probability paper: J. of Geophysical Research, 68, 813-814. Hazen, A. (1914). Storage to be provided in the impounding reservoirs for municipal water supply: Trans. Am. Soc. of Civil Engineers, 77, 1547-1550. Helsel, D. R. & Hirsch, R. M. (2002). Statistical Methods. Chapter A3, Techniques of Water-Resources Investigations of the United States Geological Survey. Book 4, Hydrologic Analysis and Interpretation. U.S. Department of The Interior, and U.S. Geological Survey. Hirsch, R. M., Slack, J. R. & Smith, R. A. (1982). Techniques of trend analysis for monthly water quality data: Water Resources Research, 18, 107-121. Iman, R. L. & Conover, W. J. (1983). A Modern Approach to Statistics: John Wiley and Sons, New York, 497 p.
Kendall, M. G. (1975). Rank Correlation Methods, 4th edition: Charles Griffin, London. 202 p.
Looney, S. W. & Gulledge, T. R. (1985b). Probability plotting positions and goodness of fit for the normal distribution: The Statistician, 34, 297-303. Mann, H. B. (1945). Nonparametric test against trend: Econometrica, 13, 245-259. Sen, P. K. (1968). Estimates of regression coefficient based on Kendall's tau: J. Am. Stat. Assoc., 63, 1379-1389. Sneyers, R. (1975). Sur l’analyse statistique des series d’observations. Geneva, Switzerland: World Meteorological Organization, Technical Note 143. Weibull, W. (1939). The Phenomenon of Rupture in Solids: Ingeniors Vetenskaps Akademien Handlinga 153, Stockholm, p. 17. Ali, M. H. & Abustan, I. (2014). A new novel index for evaluating model performance. J. of Natural Resour. and Dev., 04, 1-9. Clarke, D. (1998). CropWat for Windows: User Guide. FAO, Rome, p.23. De Laat, P. J. M. (1980). Model for unsaturated flow above a shallow water-table. Applied to a regional sub-surface flow problem. PUDOC, Doctoral thesis, Wageningen, The Netherlands., 126 p.
De Laat, P. J. M. (1995). Design and operation of a subsurface irrigation scheme with MUST. In Pereira, L.S., B.J. van den Broek, P. Kabat and R.G. Allen (Editors). Cropwater-simulation models in practice. Wageningen Pers, The Netherlands., pp: 123-140. Donnigan, A. S. (1983). Model predictions vs. field observations: The model validation/testing process. p. 151-171. In: R. L. Swannand A. Eschenroder (ed.). Fate of chemicals in the Environment. Am. Chem. Soc. Symp. Ser. 225. ACS, Washington, D.C.
EPA, (2016). Storm Water Management Model (SWMM). URL: http://www.epa.gov/water-research/storm-water-management-model-swmm (accessed on: 27.01.2016). Feddes, R. A., Kowalik, P. J. & Zaradny, H. (1978). Simulation of field water use and crop yield. Simulation Monographs. PUDOC, Wageningen, The Netherlands., 189 p.
Fox, M. S. (1981). An organizational view of distributed systems. IEEE Transact. Systems, Man Cybernet., 11, 70 – 80. Loague, K. & Green, R. E. (1991). Statistical and graphical methods for evaluating solute transport models: Overview and application. J. Contam. Hydrol., 7, 51 – 73. Mapp, H. P. & Eidman, V. R. (1978). Simulation of soil-water- crop yield systems: The potential for economic analyses. South J. of Agric. Econ., 7(1), 47-53. Raes, D. (2002). UPFLOW – Water movement in a soil profile from a shallow water table to the top soil (capillary rise). Reference Manual Version 2.1, Dept. of Land Management, K.U. Leuven University, Belgium. Raes, D. & Deproost, P. (2003). Model to assess water movement from a shallow water table to the root zone. Agric. Water Manage. 62, 79-91. Willmott, C. J., Ackleson, S. G., Davis, R. E., Feddeema, J. J., Klink, K. M., Legates, D. R., O’Connell, J. & Rowe, C. M. (1985). Statistics for the evaluation and comparison of models. J. Geophys. Res., 90(C5), 8995-9005. Willmott, C. J., Robeson, S. M. & Matsuura, K. (2011). A refined index of model performance. Int. J. Climatol., DOI: 10.1002/joc.2419.